That's Carolanne Miljavac in a nutshell. And those qualities are just what her nearly half a million social media followers adore about her. 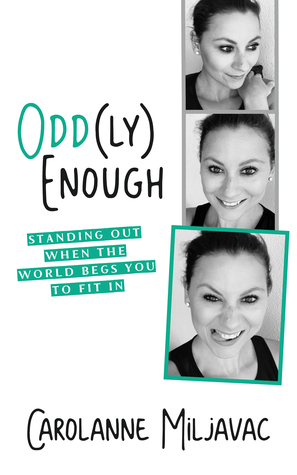 Her Odd(ly) Enough is a message that your heart needs to hear: It's time to embrace the "you" God made you to be. Tune out the naysayers of the world and jump into His loving arms. He'll walk alongside you as you passionately pursue your God-given purpose. With chapters like “Who Do You Think You Are?,” “Control Freak,” and “Mistakes and Grace,” you will find yourself becoming a little more courageous. . .and a lot more confident about God’s purpose for your life. 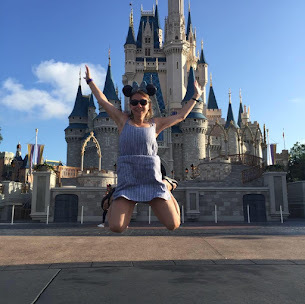 Carolanne writes about the freedom she has found in Christ. From an authentic perspective, as a reader we get the glimpse into how God has wired Carolanne and how He has restored her from a difficult past. This book gives hope to any reader who has struggled to find freedom. From giving up control, to all the allowing the Lord to take control, Carolanne knows what it's like to spend time daily in the presence of God. When we grow for ourselves, we grow for others. This book isn't just about the journey Carolanne went on with God, but the journey that each readers goes on with God as well. I highly encourage you to give this book a read. I really enjoyed the read and give this book 5/5 stars. Mega-Pastor and media personality John Gray uses powerful Biblical principles to help you become your best self -- the person God created you to be. In WIN FROM WITHIN, John Gray helps readers identify how best to handle the most difficult, challenging and yet necessary battle that we all face-our inner struggle to overcome the worst versions of ourselves. He offers biblical lessons to aid in combatting bad habits and limiting patterns so that the best version of ourselves emerges. WIN FROM WITHIN gives practical application to the story recorded in Genesis of Jacob wrestling with the man at the River Jabbok, and through it readers will learn how to become the persons they were created to be. The persons God intended each of us to be develops as we face our inner battles. With examples from his own life as well as his ministerial counseling, Gray provides a pathway to awakening. He includes strategies for confronting the past, how we have been labeled, who people have said we are, even who we think we are, so that we can win the battle and be who God intends us to be. Jacob spent much of his life running and hiding from himself. At a certain point we, like Jacob, cannot run from our true selves anymore. We must stop and face ourselves if we are to become great. WIN FROM WITHIN helps us conquer our inner darkness and overcome such hindrances as fear, shame and guilt. This powerfully biblical self-help guide will push us toward victory over our inner struggles. Winning will make us the persons we have always wanted to be, the persons we have dreamed about becoming, the persons God created us to be. 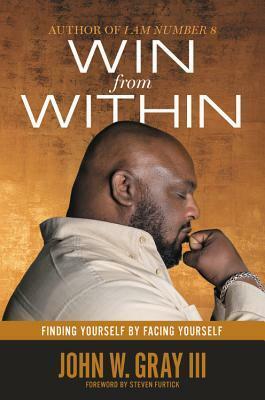 "Win From Within - Finding Yourself by Facing Yourself" is John Gray's second book. I had the opportunity to read his first book, "I am number 8," which was a great book. However, I really enjoyed "Win from Within" more. Win from Within" is based on the story of Jacob and Esau from the Bible. We are taken through the stolen birth right of Esau. John writes in great detail of this book how man has struggled with integrity and how we each have to examine ourselves. If we truly want to win, we must leave it all. We must leave a legacy that lasts beyond us. We must pursue a life that lasts beyond us and is for the glory of God. Wining means gaining it all for Christ. I love that Gray writes about his own weaknesses and even is transparent enough to be vulnerable in this book about them. I love how he goes there. Gray doesn't leave us there though, he shows us to pick ourselves up and go to the dream and plan that God has for our lives. This book is compelling, inspiring and incredibly insightful. I highly recommend reading it. I was surprised at how much I enjoyed this book. JOHN GRAY is the associate pastor of America's largest church, Lakewood Church, in Houston, Texas. He preaches at Lakewood's midweek service, where attendance has quadrupled in the last several years. He is also a featured keynote speaker, emcee, and comedian for "Acquire the Fire" youth rallies held in arenas all over the U.S. He resides in Houston with his wife and their children. 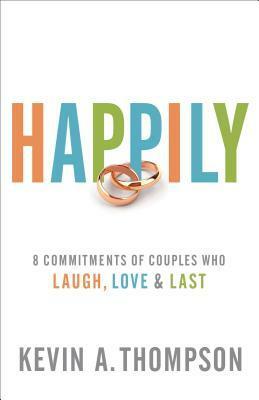 "Happily: 8 Commitments of Couples Who Laugh, Love & Last" is an inspiring and refreshing book on marriage. This book is about 8 specific commitments that couples need to make in marriage to make it better. All couples know that in order to make their marriage great, they must work on it together. This book is one that helps you look at 8 specific commitments to make your marriage better. Each chapter outlines a specific topic followed by a series of questions that is perfect for quiet time with your spouse. Anyone who is looking for their marriage to grow and succeed, I highly encourage you to pick up a copy of this book and read it, with your spouse. It will help you grow in areas you didn't know you needed. Preach to Yourself ? Who isn't constantly preaching to themselves? I know I am daily. Why? We are all often our own worst critic. This is for any woman who struggles with lies that fill her head daily. This is for the anxious, the insecure, the broken, the one who is hopeless or the one who maybe has given up on a dream. Haley tackles negative self-talk and how we need to renew our minds daily. This is one of those books that can be a great tool to use over and over again. One to be visited for different seasons. It speaks truth in grace with love and allows us to see ourselves the way God sees us. This book gives us a healthy view of the way we should think about our thought life and how much time we spend with our thoughts. This book is one that I recommend spending a lot of time in as it brings freedom. I give this book 5/5 stars. I found this book to be so helpful and very informative. Life changing, really. 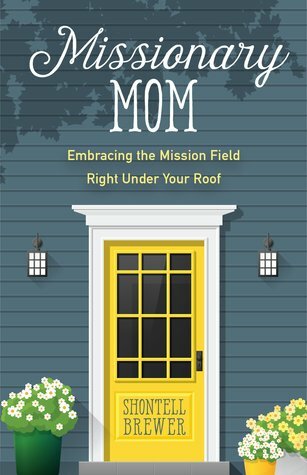 Missionary Mom has laugh out loud, relatable moments that make every mom feel right at home! The practical advice, with scripture and the little notes, don't miss the notes! They are great! This book is such an easy read, but also it has more weight in my mind than that. The book has weight in the sense that raising children isn't easy and it comes with great responsibility and Shontell Brewer knows the importance of that. This book provides great encouragement and freedom for every mom out there! I enjoyed reading this book! I give this book 5/5 stars! I highly recommend it! "You Are Enough" is a book that most us, if we were honest, would say is something we've wondered from time to time. We want to know if we matter as parents, in our jobs, with our friends, family and just in life? Mandy Hale also has wondered this same question and spends a great deal of time answering this in her newest book. 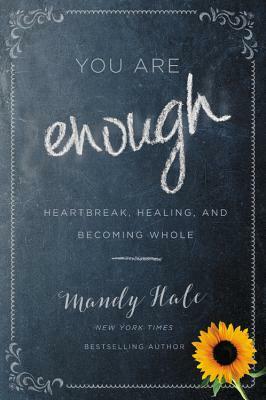 "You Are Enough" is a memoir of a time in Hale's life when everything was falling apart during a short duration and she found herself depressed. She shares how things went south and how she came through it. At that end of each chapter, she shares encouragement with the reader, which I enjoyed. She also mentions resources at the back of the book. "You Are Enough " was a great book for me, especially as at point I had struggled with this question during a difficult season in my life. This served as a great reminder that their are areas in my life where I struggle with this question and also where I can encourage those who may struggle with this same question. I appreciate that Mandy encourages readers to seek help and to feel empowered to make that choice. She uses a biblical approach which is foundational to her book and life, but isn't pushy, which makes this book a great tool no matter where you are in your personal walk with the Lord. I give this book 5/5 stars. It was a great read! 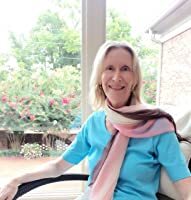 Mandy released an e-book in February of 2012 that has gone on to garner rave reviews, and recently signed a two-book deal with Thomas Nelson Publishers. Her first published book, The Single Woman: Life, Love & a Dash of Sass hits shelves this summer. Oh, dear friends! 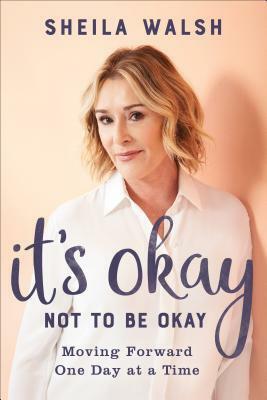 How I love Shelia Walsh's new book It's okay NOT TO BE OKAY." At some point, we have all wanted a do over button in life. Shelia writes with powerful truth that God has not left us and that He works all things together for good. Life doesn't offer quick fixes, but Jesus offering healing, restoration and hope! This book is one that you will read over and over again because of the practical truth of how God meets us in our most hurt and weak places. Ms. Walsh's ability to communicate in a transparent and honest way is refreshing. I love that they aren't just words, but experiences she hasn't lived. She doesn't just leave the reader to difficult circumstances, but allows the reader to cling to scripture as we search the scriptures and read the stories of those who have been through difficult things believing God for the impossible. This book is so encouraging! I found it very helpful and I loved that it was based on scripture to help me through discouraging seasons. Shelia Walsh is a voice of wisdom and this book speaks to that. I enjoyed this book and think you will too! I give this book 5/5 stars. 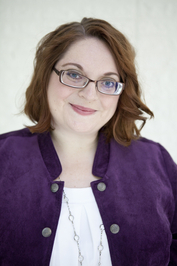 Author of the best-selling memoir Honestly and the Gold Medallion nominee for The Heartache No One Sees, Sheila's most recent release, The Shelter of God's Promises, has also been turned into a DVD curriculum and in-depth Bible study. The Gigi, God's Little Princess book and video series has won the National Retailer's Choice Award twice and is the most popular Christian brand for young girls in the United States. 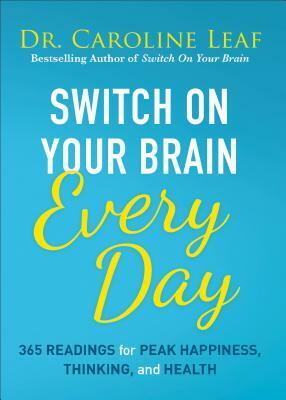 Switch Your Brain on Every Day is a great devotional based on Dr. Caroline Leaf's previous title, which is a fantastic book if you haven't read it! This devotional consists of 365 devotions that are various topics, containing a Bible verse, a "brainy tip" that focuses on a particular thought, topic or subject and then a more detailed explanation of the subject. I love how this devotional covers thought life, our brain, God's creation, identity, attention, forgiveness and so much more. This devotional focuses on the entire person; body, soul and spirit. This devotional book is a great read for anyone. I highly recommend any of Caroline Leaf's books! Parents want to be the best person they can for their children, but much of the time they may feel like giraffes on ice--clumsy, unprepared, and in imminent danger of going down. The good news is, our children don't need perfect parents. They need authentic, fully-hearted, relationally engaged parents who can mess up and move on more than parents who always get it right. 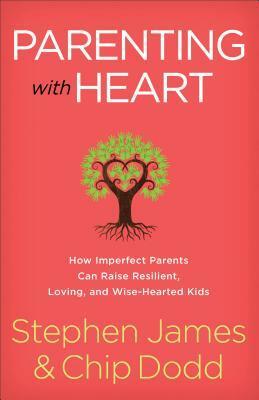 In this freeing book, respected therapists and bestselling authors Stephen James and Chip Dodd invite parents to let go of perfectionism and micromanaging as they learn to parent from a place of emotional honesty and intimacy. Through their clinical experience and relatable true stories, they show parents that raising children to become capable, loving, and wise-hearted adults is far more about accepting our flaws than projecting an impossible standard to our children that we already know we can't live up to. Parents will learn how to resolve issues from their own childhoods, tune into their feelings and the emotions of their children, and be present with their families through both the best and worst of circumstances. Parenting with Heart is a book that spoke deeply to my thoughts about matters of heart as it relates to parenting, the relationship with God and the future of parenting one's children. This book is a beautiful book on what it takes to raise happy, healthy and successful children in a Christ way! This book doesn't only impact your parenting, it will impact you spirit and soul! It is both thought provoking and gut wrenching, but definitely worth the read! 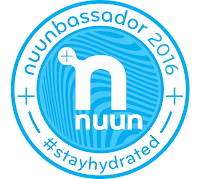 This is a great resource that will guide you! I strongly encourage parents to read this book. I highly recommend this book! To purchase you copy, head here! Sarah Young writes the most beautiful devotional books ever! I adore this beautiful, leather devotional. I find that regardless of the day or whatever circumstances I am facing, this devotional speaks directly to me. Ms. Young has a gift with her words and the way she writes that helps me to know that God is speaking directly to me right where I need to hear from Him. I love that with this devotional I am able to read one for the particular day or I can flip it to one that might be more fitting for the particular season I am in. It is the perfect size to fit in my purse or laptop bag to bring to work. I highly recommend purchasing this book or any other devotional books by Sarah Young. They are so great! Whether you are familiar with this book or Jesus Calling, I recommend picking up a copy. This would be the perfect gift for a friend too. 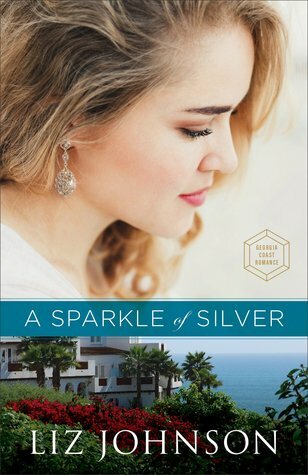 "A Sparkle of Silver", Liz Johnson's first book in her Georgia Coast Romance series, is one of the best fiction, romance novels I've read this year. Mystery, romance and even family, make this book a very note-able and entertaining read. Millie Sullivan is trying to take care of her grandmother who is close to be evicted at the nursing home because Millie is unable to afford the costs. However, with the mention that a hidden treasure is at The Chateau, a wealthy estate in Georgia, Millie thinks if she is able to find the treasure, it may solve her problems. Millie gets a job at the Chateau where she meets Ben and together the two begin to look for the hidden treasure supposedly found in a diary. The two work around the clock to figure out the clues, but will the treasure be found? Will Millie be able to save her grandmother? Grab your copy today! You will love this book. It is a delightful read and will surely have you turning the pages as you solve the mystery, while getting wrapped in the romance. 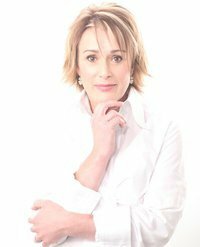 By day Liz Johnson is the marketing director for a radio network. She finds time to write late at night and is a two-time ACFW Carol Award finalist. Liz makes her home in Tucson, AZ, where she enjoys theater, exploring local history, and doting on her nieces and nephews. She loves stories of true love with happy endings. An Amish Homecoming is a wonderful collection of four novellas written by four talented authors. These stories will capture your heart and you will love the lessons that each of these authors have in store for you as you fall in love with the characters. I love how each of the characters, their stories, dreams and lives came to life. I felt as though I was living vicariously through them and viewing everything through their lens. Despite loss, love, hurt and pain, faith is always a huge element of each of these stories, which helps the reader grab ahold of hope. I can't pick one favorite novella because all of them grabbed my heart. Overall, I was turning the pages on each of these stories. I couldn't put this book down and finished it in two days. I highly recommend An Amish Homecoming! You will love it.